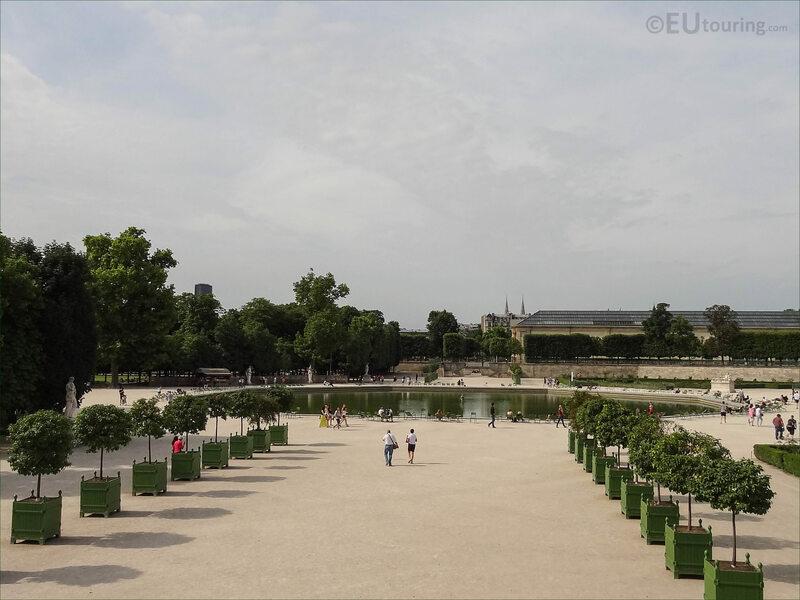 We were within the Jardin des Tuileries in the 1st Arrondissement of Paris, when we took these high definition photos showing the historical Octagonal Basin within the gardens. 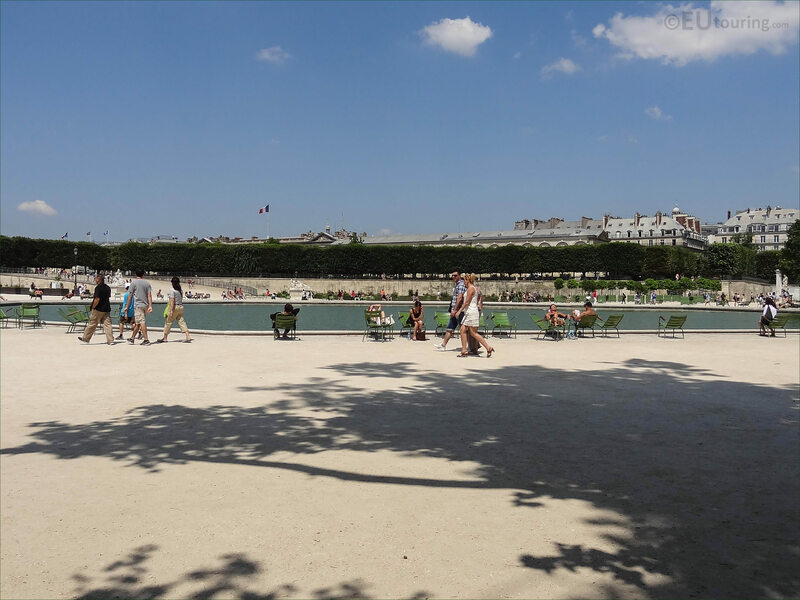 It was actually Jean Baptiste Colbert, a French politician who worked under King Louis XIV, that commissioned Andre Le Notre to redesign the Jardin des Tuileries, which was after his major success at the Chateau de Versailles and the Vaux-le-Vicomte Castle previous to that, and this historical Octagonal Basin was one of the elements in his design. 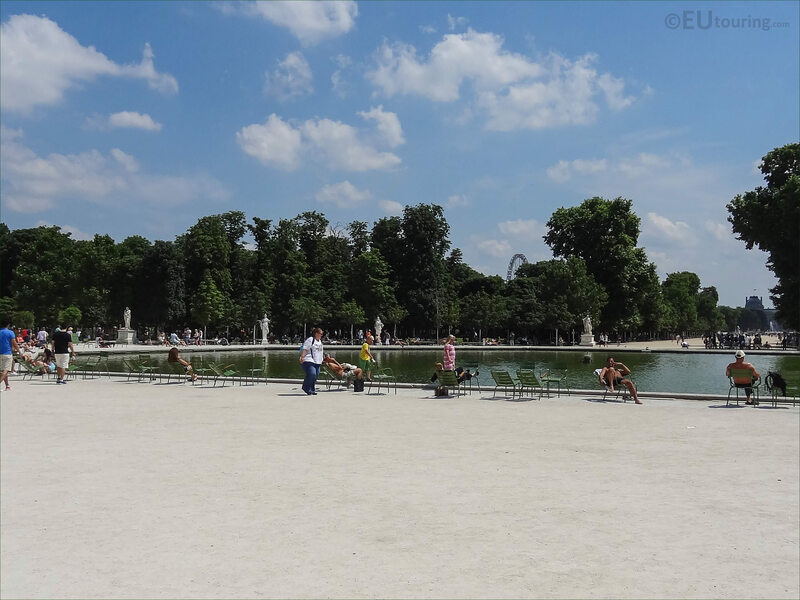 Known as a Jardin a la Francaise, Andre Le Notre utilised geometrical shapes and perspectives, which could allow the garden to be seen from above and from elevated positions such as terraces or the palace itself, and the Bassin Octogonal is located right by the Allee Centrale, which provided a view from this water feature to the Palais des Tuileries. 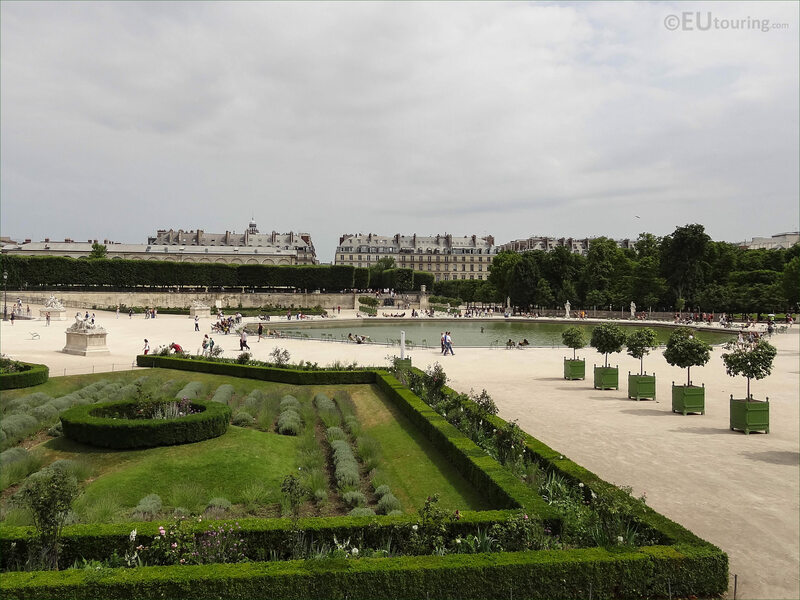 Work on the new design for the Tuileries Gardens was started in 1666 and completed in 1672, and it was during this time that the 60 metre diameter Octagonal Basin with its water fountain was installed, along with three additional basins at the opposite end of the garden, and obviously these have had to be maintained and even restored over the centuries, with a new water system being completed in 2011. 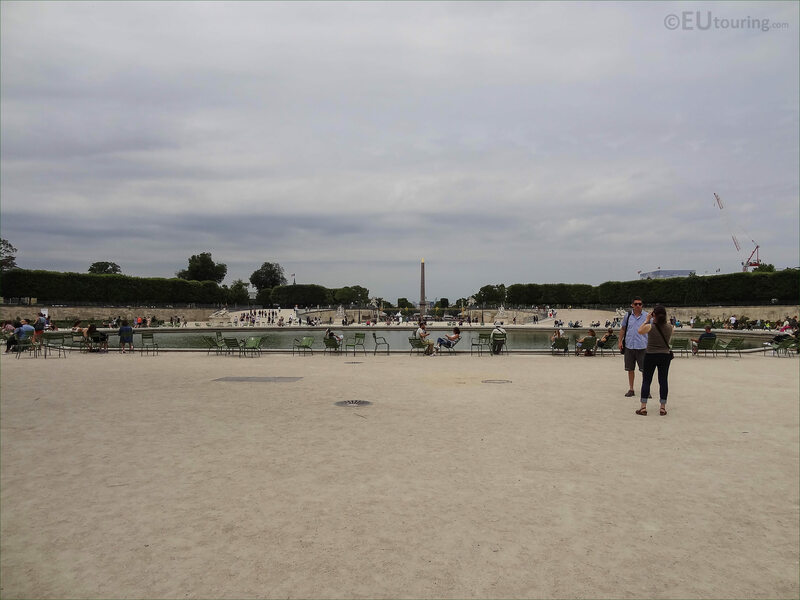 However, this is a view looking over the Octagonal Basin towards the entrance of the Jardin des Tuileries and the Place de la Concorde with the Luxor Obelisk, but as you can also see in this photo, there are two ramps in a horseshoe shape that lead up to terraces, which was another design feature by Andre Le Notre that was implemented at the same time. 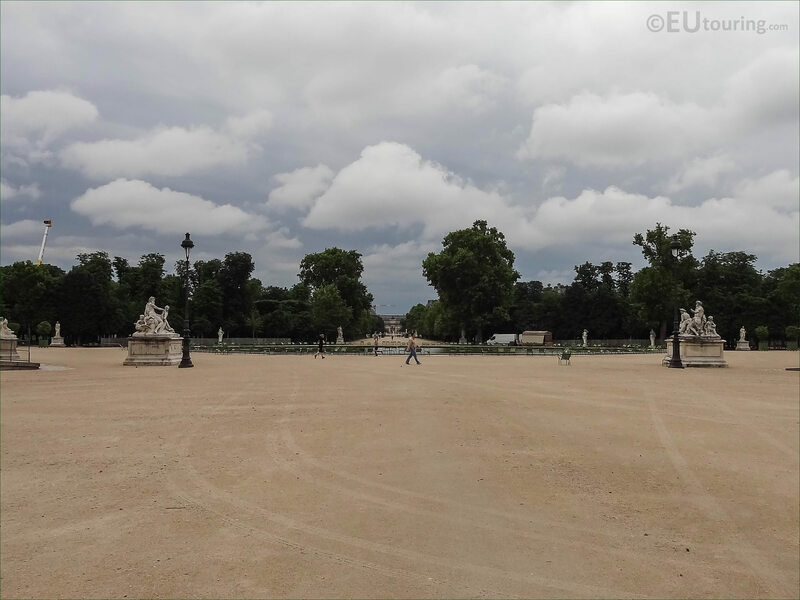 Yet this photo is looking in the opposite direction over the Octagonal Basin and down the 350 metre long Allee Centrale of the Tuileries Gardens towards the Musee du Louvre, which we took while standing in the area known as the Fer a cheval, which in English translates to horseshoe, and this relates to the design feature we mentioned above.